PHOTOS by Jimmy Fields Sr.
After taking top-ranked Mount St. Joseph into overtime in Towson earlier this month, Calvert Hall paid a return visit to St. Joe, Friday night in Irvington. The unranked Cardinals stunned the Gaels with a wire-to-wire run capturing an impressive 79-67 Baltimore Catholic League victory at Smith Center. Playing for the first time this season with all five of its projected pre-season starters, the Cardinals (11-12 overall) got a combined 46 points from junior guard Brendan Adams and Logan Curtis. Calvert Hall led 19-11 after one quarter and still held a 36-31 advantage at the half before pulling away from Mount St. Joseph (23-2), ranked 20th in the nation by USA Today. Adams scored 16 of his game-high 26 points in the second half and Curtis scored nine of his 20 points in the fourth quarter to help the Cardinals close out the victory. Senior point guard D’Yante Doughty added 12 points and Josh Cornish netted 10. Junior center Jalen Smith led the Gaels with 21 points and Jaden Robinson scored 16 points. James Bishop and Darryl Morsell added 10 points each. Calvert Hall improved to 4-5 in the BCL where it is currently in fifth place. The loss knocked St. Joe out of first place in the BCL (9-2) The game did not count in the MIAA A Conference standings. 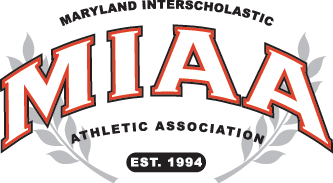 Calvert Hall – Adams 26, Lewis 3, Curtis 20, Cornish 10, Ilardo 2, Gravette 6, Doughty 12. Totals 29 18-26 79. Mount St. Joseph – Myers 8, Bishop 10, Morsell 10, McMillan 2, Robinson 16. Smith 21. Totals 21 19-24 67.